It’s been a disappointing campaign so far for Darlington, who currently lie 15th in the National League North. The Quakers have been flirting with relegation this season; Tommy Wright has come under a lot of pressure and some fans have called for his sacking. But with Darlo nine points clear of the drop, those calls have now been silenced thanks to consecutive defensive shut-outs. 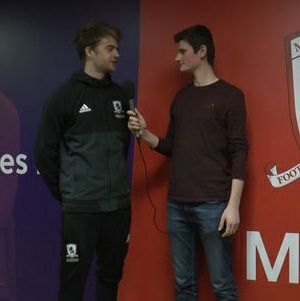 Trainee Sports Journalist at Teesside University. Big Boro fan and also enjoy European football. Presenter on TUXtra Radio.